he really is, a purveyor of ink. Squid knows lots of different authors. of what he has to do to make ends meet. Gordon Meade is a Scottish poet based on the coast of Fife. In the past, he has been a Creative Writing Fellow at the Duncan of Jordanstone College of Art, Writer in Residence for Dundee District Libraries, and a Royal Literary Fund Writing Fellow at the University of Dundee. He has read from his own work and given creative writing workshops throughout the United Kingdom and in Belgium, Germany and Luxembourg. His eighth collection, Les Animots: A Human Bestiary, a collaboration between himself and the visual artist, Doug Robertson, will be published in Autumn 2015 by Cultured Llama Publishing. 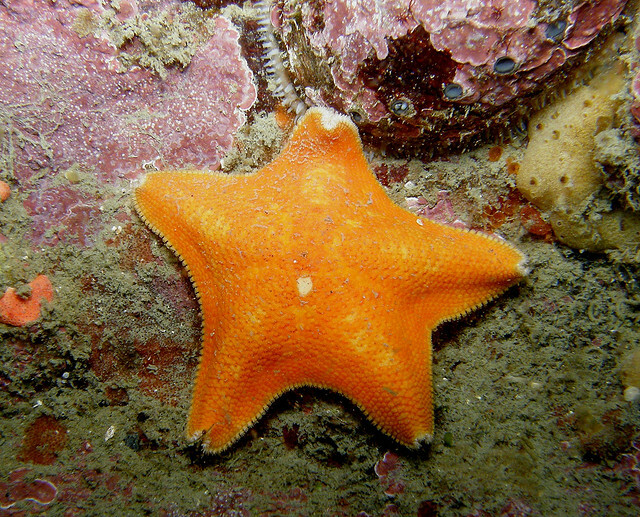 Image: "Orange Starfish" by Anna Bennet.